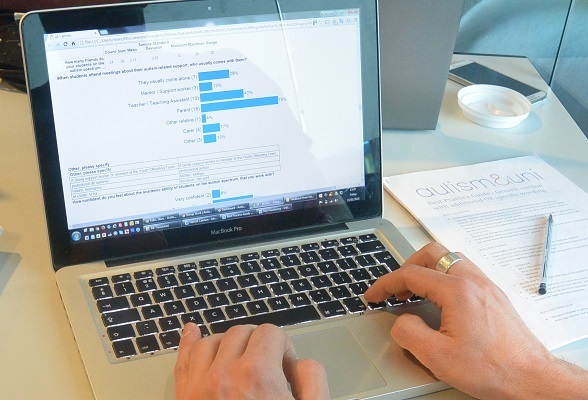 While the completion of the online toolkit for students continues through its final stages, we have taken another look at the survey data, searching for new angles. Project partners were asked to go through the survey responses from their respective countries and to identify details that had surprised them or provided particularly important insights. The students’ reasons for studying were occasionally surprising. While most UK students wanted to learn more about their subject and liked studying as such, quite a few students and graduates mentioned something else as their main reason for going to university. Some could not think of anything else to do with their lives, and some wanted to escape their home environment. The same could be seen in Finland: a minority of respondents used studying as a way to buy time when struck with indecision, or to avoid being classified as unemployed. The survey responses from all countries reflected a variety of concerns, often not focusing on study skills as such but on broader issues: failure to communicate with university bureaucracy, disorientation in new environments, difficulty dealing with certain sensory stimuli, lack of connection with fellow students, or trouble adjusting to independent adult life. This general impression of variety ties in with an important observation by Dutch support staff: the diversity of autism and the necessity of individual approaches present some of the greatest challenges to the professional working with autistic students. Tools and resources for professionals should be designed with this in mind,supporting them to plan individual solutions. The situation is further complicated by the fact that approaching staff members to ask for help, or even knowing who or how to ask, is often a cause of anxiety. In the UK, this was described by school staff who felt that their students struggled with both admitting that they had trouble understanding their schoolwork and with asking for support. UK disability advisors and specialist support workers believed that academic staff do not really understand autism and how it differs from dyslexia in its impact on study, nor that it is possible (and necessary) to make reasonable adjustments for autistic students without compromising academic standards. Similarly, student support centres at Dutch universities have knowledge about autism and clearly often provide high quality services – reflected in the positive opinions of some students responding to the survey – but the knowledge is not always transferred to faculty members. Spanish students currently in secondary education or HE showed striking variation in terms of the provision they received. Most did receive specific support on the basis of their autism, and there was a wide selection of different adjustments, with a small number of students receiving each, which suggests individualized approaches. Many of the Spanish students were fairly satisfied, rating the support they received ‘quite useful’, or expressing that they did not need further adjustments. This contrasted with a smaller number of respondents who reported receiving no support at all. Polish and Finnish responses showed the role of individual staff members’ motivation and knowledge when HEIs are not involved in assessment and do not employ disability teams with autism expertise. The assumption appeared to be that academic staff members can make informed decisions on the basis of written recommendations from an accessibility coordinator or disabled students’ ombudsman, whose only source of information may be a written description of needs by an external autism expert. Clearly, such arrangements do not promote dialogue between autism experts and academic staff, and this may hamper not only the individual student but the development of provision for autistic students in general.